Bruce used a snippet of the song as intro to 'She's the one ' at the concert for the Rock 'N' Roll Hall Of Fame at Cleveland Stadium, Cleveland. According to Brucebase, BO DIDDLEY, another song by Bo Diddley, was used in 1976. 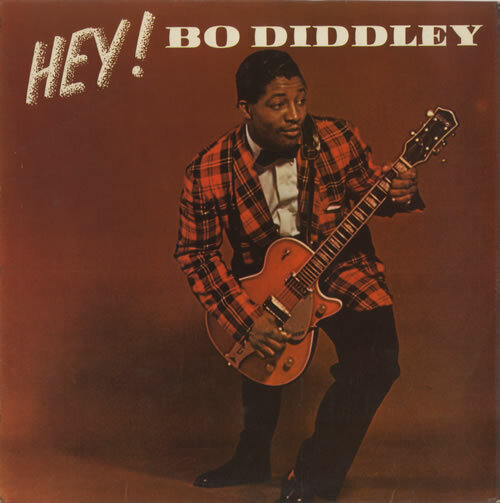 However, it might be HEY BO DIDDLEY since it was probably used as intro to SHE'S THE ONE, same as on 02 Sep 1995, or a custom hybrid of both BO DIDDLEY and HEY BO DIDDLEY. The first part was used as the intro and the second part was used before the song ends. Musically, "she’s the one" has a staccato beat and a rhythm reminiscent of that of "Bo Diddley" songs. As if to emphasize the Diddley-like riff, Springsteen has led into "She's the One" with a Diddley song - either " hey Bo Diddley", "Mona" or “ who do you love ? “ She’s the one is definitely a hidden tribute song to Bo Diddley. 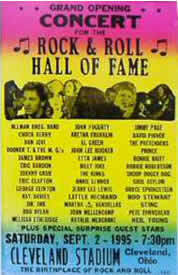 Bruce played the song only with the E streetband, Other artists present on the concert for the Rock ‘N’ Roll Hall of fame were Chuck Berry , Jerry Lee Lewis, Bob Dylan. "I Thank You" includes a snippet of "Hey Bo Diddley" in the introduction. Sam Moore sings "Hey Bo Diddley"
"Hey! Bo Diddley" is Bo Diddley's eighth single released by Checker Records (not to be confused with the song "Bo Diddley", released as a single in April 1957 by Checker Records). The single's B side was "Mona". Like many of Bo Diddley's songs (e.g. "Bo Diddley", "Gunslinger, and "Pretty Thing") "Hey! Bo Diddley" features a Bo Diddley beat.